All photos by Julia de Boer for The Next Web. Pocket Anatomy has won the “Boost” startup competition at The Next Web (TNW) Conference in Amsterdam. The event is one of Europe’s top tech gatherings and was attended by over 2,500 influential web, technology and business leaders from all over the world. Nearly a hundred startups were selected for Boost, out of which 10 (including Pocket Anatomy) were shortlisted to pitch on stage yesterday. Pocket Anatomy are the creators of a suite of medical education software applications that are used by medical students, healthcare professionals, and the general public for visualising the complexities of the human body. The software has been downloaded over a quarter of a million times on iOS devices, and has been used by students and staff in dozens of educational institutions in the US. The company is based in the Ignite Business Innovation Centre at NUI Galway. 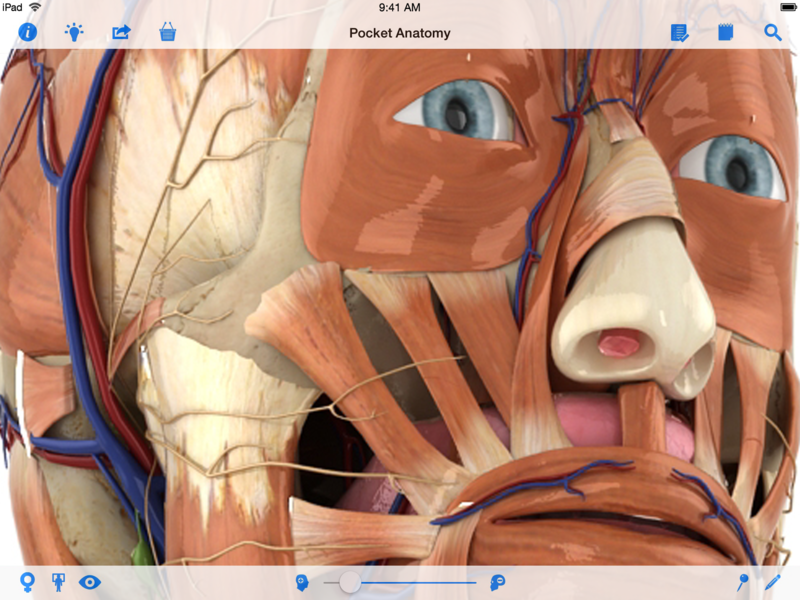 Pocket Anatomy currently has three applications in the iOS App Store: Pocket Anatomy, Pocket Brain and Pocket Heart. 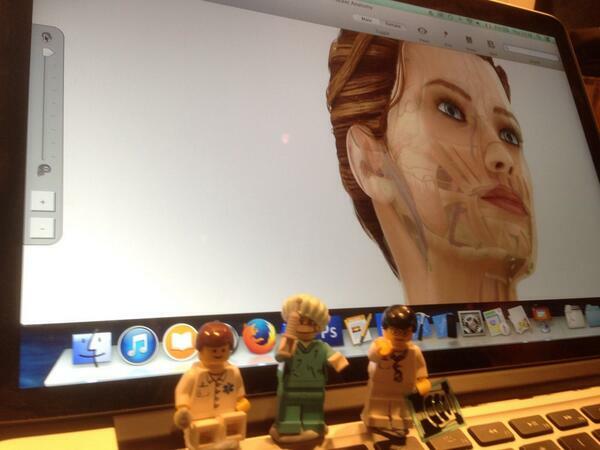 The company also soft-launched a Mac OS version of Pocket Anatomy at yesterday’s TNW Conference. The other finalists in the Boost startup competition included: Usertalk (a voice support button for embedding in websites); Crate (a zero-admin scalable data store); Via (a building and energy management system); Discovered (a customer-artisan marketplace aimed at selling products from emerging markets); UseClark (a digital document summarisation tool); 30MHz (a notification and warning service for monitoring systems); Agrivi (an intelligent farm management service targeting global food issues); Docido (a tool to search one’s cloud-based services and storage); and Cubic.fm (a music discovery tool that connects to a range of services). TNW is one of the most influential technology publishers online, and is ranked in the top 10 tech news sites by Techmeme. The news site was originally launched as a spin-off from the events division of TNW. TNW Conference in Europe is one of three yearly events, the other two being held in São Paulo and New York later this year. Pocket Anatomy also recently became just the third European company to join the prestigious New York-based StartUp Health Academy. The founders of health and wellness portfolio companies selected for the StartUp Health Academy are supported over a three-year period through a series of intensive workshops and mentoring sessions to help them grow into sustainable businesses and sell into the US healthcare market. Tech startups face numerous challenges on the journey from a great idea to a great product. While Irish startups face the same obstacles as comparable entrepreneurs in Silicon Valley there is no question that the lack of direct access to venture capital can, with all other things being equal, be a project killer. Bootstrapping can only take an idea so far. Best estimates suggest that $8-10bn has become available every year for the last few years for Silicon Valley VCs to invest in the tech industry. But getting access to the deal-makers is exceedingly difficult. San Francisco can be very hard on the pocket and there is only so much couch-surfing that anyone can stand. Phil McNamara, VP of Sales North America for Voxpro, understands the situation very well having, on occasion, provided his own sofa for Irish entrepreneurs who were passing through attempting to seek funding. Out of his experience and observations he had an idea that was twofold in nature: Bring investors to Ireland to meet the talent that exists here. Then take the most promising projects back to San Francisco for meetings with VCs and other investors. So the StartApp Competition came into being. Despite having App in the title anyone from the Irish ICT sector can enter. Also, it is not necessary to already have a startup in operation. You may just be thinking about the possibility. There is an upper limit in that the value of a startup should be under or around €650,000. The final date for entries is May 12. “Ireland is very well located to Europe. It’s not a huge sell to get these guys to come over. Ireland has a lot to offer. We have a lot of very well-educated ICT people in the country. There’s great skill here. In this audio transcription of an interview that took place at the 2013 Dublin Web Summit in Dublin, Fergal Gallagher speaks to the CEO of The Huffington Post, Jimmy Maymann, about the increasing importance of online video. The original recording can be found at the bottom of the page. Fergal Gallagher: What are the trends emerging in digital media [and] with the Huffington Post in particular? Jimmy Maymann: …One of the things, obviously, that we have invested in is online video. I sold my online video business to AOL and I am obviously still a big believer in that. But at the same time online video is still in its infancy which means that there is a lot of money that will come into video from the advertiser[s] in the coming years. The reason for that is that right now if you look at the overall media consumption, a lot of that media consumption is, actually, online video. And from the same lens if you look at online advertising spend there’s a big gap. FG: You can see it nearly flipping the way it is now where you’ve more eyeballs on internet video than TV and therefore the money will follow. JM: That’s a very good way of summarising. It needs to be very easy for a TV buyer to compare. “OK, if I buy some TV it’s going to cost me X, and I can have the same audience on online video and it’s actually cheaper or broader reach or gives me something else so it adds to the TV campaign.” Those are the things that will move the needle in online video. FG: When you are talking about that online video you might associate The Huffington Post with articles. In recent times we have seen a lot of new digital media. Just last week it [was] announced that Glen Greenwald is partnered up with a founder of eBay. Buzzfeed is getting huge… Who are you competing with? Is it TV? Is it other online newspapers? JM: The way I look at The Huffington Post is that it is an online media platform. We deliver news in many different ways. But it’s always been about creating a community, starting conversations, having bloggers contribute, really bringing everyone together around topics. The same thing that we do in video… You say many people think about HuffPost as a news site which is another reason on the video side we just last year invested heavily in video. We hired a hundred people. They are just doing HuffPost Live which is 12 hours a day, 5 days a week — an online video streaming experience. I don’t see the players you are talking about as competitors. What I and we want to do is try to build the next-generation CNN. We want to be a global media company and to do that you need to have more than in the old days… You need to be able to offer digital services across platforms. FG: Are those new platforms today more monetizable? JM: I think video is one of the platforms that [is] more monetizable. I think one of the challenges that you have with traditional online is… over the last five, ten years, banner advertising has only gone one way and that’s down and the click-through rates are very low and the CPMs are low. So, we need new formats and video is one of them. Mobile is another format that is popping up. As mobile becomes more and more important the whole buzz in the US is about native advertising. It’s becoming an important revenue stream also. FG: So this is digital advertising where there is an advertorial in the digital content. JM: It’s really taking the old-school advertorial and moving it into a digital environment… And, obviously,the thing you can do in a digital environment is that it is not a one-off, it is an ongoing experience, it’s evolving over time, it’s story-telling at scale. And then with an advertiser bringing it to you right there, they are actually paying for that experience and I think that is also a very interesting way. We are seeing that it is different to the content that we are creating. We are seeing that the readers… enjoy that much more than they enjoy traditional advertising. There’s an added value, it’s not just a product sell. It’s actually stories that are relevant to whatever section they are in. FG: Have you enjoyed the Web Summit so far? JM: It’s an amazing event. I remember two, three, four years ago when it was only five hundred people — it’s now ten thousand people. The quality of the speakers, the line-up is impressive. So I have to say… is also the reason why I decided I had to stop in Dublin because it is really a European event that has put Dublin on the map, I think, from a tech and media perspective and startup scene it’s great for Dublin and I think it’s a great event. Last September Fergal Gallagher was able to interview Andy Carvin just before he gave his talk at the Truth in News Symposium held at Dublin City University. We have transcribed the audio from his interview and the original recording is available at the bottom of this page. Fergal Gallagher: I am here with Andy Carvin, Senior Strategist and NPR, National Public Radio. (NB: Andy has since moved to First Look Media.) We are at the DCU media conference. Andy hasn’t spoken yet but his name has already come up quite a lot for the way he uses social media to cover stories. Maybe you could talk about what you do. Andy Carvin: My primary job at NPR, essentially, is to experiment with new ways of reporting. Especially when it comes to collaborative reporting with the public…Over the years I have done a variety of experiments on Twitter… but during the Arab Spring things really came together because we reached a critical mass of people who were using social media in certain parts of the world and were willing to serve as eye-witnesses to these events. And so my Twitter followers will work with me to investigate certain things that we think are interesting. Often, the stuff we do are ideas they come up with. So, for example, during the Arab Spring a number of news outlets in the region started to report that Israel was supplying weapons to Muammar Gaddafi which seemed a little insane at the time given that they were arch-enemies. But, nonetheless, it was being reported. They were reporting it because they found a mortar shell that had what looked like a Star of David on it, a six pointed star. Well, in less than an hour my Twitter followers were able to prove that’s a standard symbol that has been used for over a hundred years to mark these types of shells as star shells that you shoot up to light up the sky. They are illumination rounds so had nothing to do with Israel. The same symbol could be found on mortars and artillery from World War 1. So, it is things like that, we stumble on these questions that are being reported. One question leads to another and we just dig in further. FG: On that point there is a guy in the UK who does something similar on Syria. AC: He goes by the name of Ron Moses but his real name is Elliot Higgins. He is a fascinating guy because he was just some unemployed bloke who had a lot of free time on his hands. So he started paying attention to Syria and he has become the civilian expert on arms in and out of Syria. It’s incredible what he’s done. So, I’ve worked with him on a few occasions and we swap information. FG: It’s basically a new way of gathering news that traditionally was done behind closed doors whereas you are making, as you say, an open, public newsroom. I know you have had some criticism from traditional journalists who say you tweet something or ask someone, “Is this true?” And it later turns out to be false, whether it’s someone else or your followers who have proved it to be false. What do you say to people who say, “You shouldn’t be tweeting that if you are not sure if it is true,” in case people don’t see the correction? AC: Well, I got that a lot after the Newtown massacre, at that elementary school in Connecticut. Michael Wolf wrote a fairly scathing editorial about me for The Guardian but I wrote back and paragraph by paragraph I told him he is completely misunderstanding what I do. In fact, the examples he cited of where I was sharing rumours I was actually sending out tweets reporting what U.S. broadcasters were claiming on air and asking what evidence people knew about them. So, at one point there was a report that a purple van had been surrounded by police and I hadn’t seen that reported anywhere else but one of the U.S. networks cited it. So I asked people, “What do you know about this?” We tried to figure it out. In the context of how I work it makes sense for the people that follow me. And the folks that have criticised me, they understand that but don’t feel comfortable with it. I can’t force them to change their outlook on how journalism and reporting happens. The only way I can judge it is if the news organisation I am working for is happy with how I am doing it and if our ombudsman has any problem with how I am doing it. In each case the response has been very positive. FG: Since you have been doing this there has been many more journalists, and non-journalists, who have been copying that technique. AC: It is becoming more common in different ways. People may not do it full time for their reporting but there are times when the public knows more than you do so why not ask them for help. I certainly wouldn’t want to pretend that this the way we should be reporting in all circumstances because probably the majority of the time you are reporting on other stories it may not be appropriate. FG: I guess a key thing with the Arab Spring was that you didn’t have foreign correspondents on the ground. AC: The two things that really went into play there was first in many cases you didn’t have foreign correspondents on the ground and that was especially true for Libya early on and for a lot of Syria. But on the other hand you had people living there who were willing to capture what was happening and upload it or share it some form. If you can find a critical mass of these people and cross-reference what they’re saying, somewhere in the middle of that is the truth. So, if there is a large protest and, let’s say, shooting starts to happen, one person may report it on Twitter but they are going to have a very limited field of view around them and they may not totally understand what had just happened. Whereas if I have been able to identify thirty people across that same area, spread out all over, and then monitor what they are saying simultaneously you can, in some way, triangulate the truth from that. FG: News budgets are more and more limited so do you think your technique could be a future for news? Instead of sending someone out who is expensive you do this kind of reporting. AC: I really hope not because it is a completely different style of reporting. Some of the most powerful reporting that has come out of Syria has been when reporters have gone in and been able look people directly in the eye to talk about relatives that have died or have been wounded and to be able to put together the context of that in a broader sense. And that can be very hard to do remotely. I would hate to see my methods used as an excuse to cut back on foreign reporting or any type of reporting for that matter. I think they complement each other very well. At one point, I ended up going to Cairo for an event. There was a big altercation in Tahrir Square that evening that came out of nowhere. They hadn’t had one for several months at that point. So, I went with a small group of protestors and they brought me as close as they could get without bringing me into the square as they were a little paranoid about my safety. We are surrounded by police. There is tear-gas going off and people with blood running down their hair. So, I am able to observe all these things going on in my immediate vicinity but I still real didn’t have an understanding of what was going on. I didn’t know what was happening at the centre of Tahrir or on the other side of it. And the only way I was personally able to fill in those pieces was when I was able to get a signal on my phone again and could look on Twitter and see what all my contacts were saying. So I end up becoming one node out of many that paints a bigger picture. But at the same time, one correspondent at that location serving as that single node can still tell extremely vivid and powerful stories. FG: It’s funny that although you were there you were still doing journalism as if you were sitting at home in the U.S.
AC: It is funny there are times that I am traveling and there is something happening in that city and I almost would rather be back at my hotel working on it because there is only so much I can do caught in the middle of it. FG: Where do you see things going in the immediate future? Will there still be print in five or ten years? AC: It is phasing out in different places at different speeds. I am never comfortable making a prediction with these things. Many newspapers in the U.S. have either switched entirely to digital or have gone out of business or have cut back the amount they are producing on paper. So, the trend isn’t favourable for them but at the same time they are beginning to do things online that are profitable. I’ve never been a fan of pay-walls myself but the New York Times is making a profit on their pay-wall. So, there are different economic models. I think the key point here is that journalism isn’t dying. It’s the economic models that are changing and in that process some of those economic models are going to fade away and they just happen to be ones that we cling onto very closely because they have worked so well for a very long time. And in some cases we haven’t planned for that transition very well. But I think there are some papers that will continue to do what they are doing because they have an audience that really loves what they do. As long as the subscribers are willing to pay and advertisers are willing to pay to fill a demographic we’ll have a New York Times and an Economist and others. Whatever format it is in people will use it because they value the content. So the key thing is differentiating yourself with the content. It is widely known that starting a business is a risky undertaking and carries a high risk of failure. So it is worthwhile considering why this is the case. Studies have shown that many mistakes made at the early development stage were avoidable. The trouble with startups is that they cannot afford this “learn-as-we-go” approach, so the question is how to avoid costly mistakes? Starting a business unprepared is a fairly chaotic affair and the better option to chaos is structure. One approach is to follow a structured business startup process that will develop the business from the initial idea through each step until it is ready for customers and investors (as we do at New Frontiers). What issue or unmet need have you identified? What solution you intend to provide? Who and how many have the issue and will pay you for your solution? What business model will deliver optimal profitability? What skills are needed to lead, manage and drive forward the new business? to market with the first offering. The next step is the creation of a prototype or the Minimum Viable Product – a first version which will address the customer’s problem, with secondary features coming later. Tony O’Kelly is programme manager for New Frontiers, based at the GMIT Innovation Centre in Galway. Over €54 million has been invested in companies developed through the GMIT Innovation Centres in Galway and Mayo. This has led to the creation of 260 jobs in the region. These companies continue to grow and compete on an international scale. Pocket Anatomy has become just the third European company to join the prestigious StartUp Health Academy of 63 portfolio companies, as part of sixteen new inductions this year. Pocket Anatomy are the creators of a suite of medical education software applications that are used by medical students, healthcare professionals, and the general public for visualising the complexities of the human body. The software has been downloaded over 250,000 times on iPad and iPhone devices, and has been used by students and staff in over 50 educational institutions in the US. The founders of health and wellness companies selected for the StartUp Health Academy are supported over a three-year period through a series of intensive workshops and mentoring sessions to help them grow into sustainable businesses and sell into the US healthcare market. By giving them the inspiration, education, and increased access to customers, capital, and other critical resources, the aim is that supported startups can innovate more quickly and build new solutions that will improve care and reduce healthcare costs. “We are delighted to be accepted onto the Academy as we see it playing a pivotal role in helping us access more healthcare customers in the US. We are also looking forward to joining and learning from a distinguished set of alumni companies that have gone on to further success,” said Pocket Anatomy CEO Mark Campbell following the announcement. The latest 16 additions brings the total number of StartUp Health companies to 63. In March 2014, Basis Science – another StartUp Health portfolio company – was acquired by Intel for a reported $100 million. Pocket Anatomy is the second Irish company to join StartUp Health, following in the footsteps of Dublin-based health and wellness entrepreneurs, GetHealth. “It’s fantastic that Ireland is punching above its weight in the healthcare and medical innovation space, with Pocket Anatomy joining GetHealth in the StartUp Health Academy,” said Dr John Breslin from NUI Galway, an advisor to Pocket Anatomy. “Galway is already home to many SMEs and multinationals in the medical technologies domain, and local startups like Pocket Anatomy are a key part of this vibrant ecosystem”. Pocket Anatomy has also been selected as one of the “Boost” startups to feature at The Next Web Conference in Amsterdam on April 24th, one of Europe’s top tech gatherings, where they will pitch to over 2,500 influential web, technology and business leaders from all over the world.